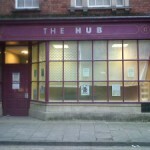 For the past two weeks The Hub in St Paul’s, the former drop-in centre for homeless people, has been occupied by squatters in protest against the cuts to homeless services. The recently-closed drop-in centre provided emergency housing information for homeless people without the need for an appointment. Thanks to its closure, those seeking housing advice from the council must first get a referral to see an advisor at the main offices. 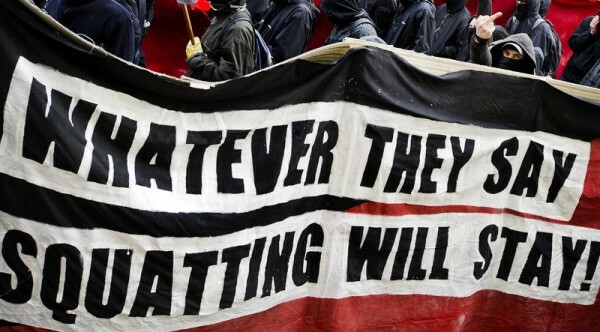 The police in the german capital Berlin is expecting heavy riots around february 2. The police will evict one of the last squats in Berlin : Liebig 14. Officials and newspaper say that this may cause heavy riots. Today, 10 january 2011, the house project in Liebigstraße 14, Berlin-Friedrichshain, received a written eviction notice for all apartments. It will be enforced the 2nd of february at 8:00 AM. The lost legal processes and the failure of politics ! The eviction notice for our house project is the outcome of an almost 4 year-long legal struggle over the termination all apartments contracts, a struggle between the inhabitants of the houseproject and the owner Suitbert Beulker (also owner of the houseproject in Rigaerstr. 94) and Edwin Thöne, manager of the child protection association Unna. The pleaded ground for the terminations was the display of banners and Beulker taking offence with the construction of a door in the stairway.